Artlink works closely with Oxfordshire Hospital School to bring art projects to young people. Recent projects have included the following. Our successful 2017 podcast project (see below) was followed by a poetry podcast project in summer 2018. 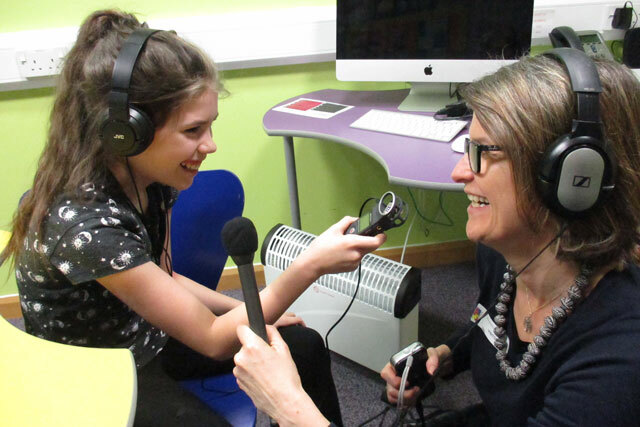 The poetry podcasts are the result of a collaboration between the radio producer, Penny Boreham, and English teachers at Oxfordshire Hospital School, who have been sharing poetry with young people in hospital as a means of encouraging engagement with the curriculum, alongside supporting well-being. The project was funded by the Oxford Festival of the Arts and presented at a public event at the Festival on 2 July 2018. Many poets and writers generously gave up their time to visit or to share poetry which has inspired them, including Catherine Lloyd, John Foster, Paula Byrne and Andrew Schuman (of ReLit). Listen to some of the children's eloquent responses to the poems they have found helpful. 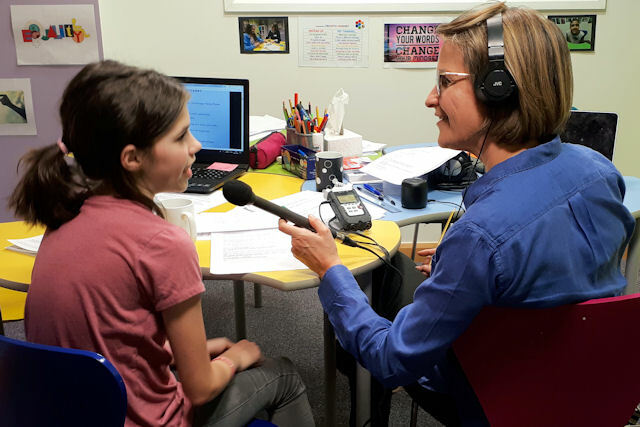 Hospital Hubbub was a three-month audio project with children in the Hospital School at the John Radcliffe Hospital, under the guidance of Penny Boreham, a professional radio producer. The following podcasts were produced by Penny with the children, who were coached in recording and interviewing techniques to enable them to share their experiences of being in hospital. The project was funded by the Oxford Festival of the Arts and culminated in a presentation to celebrate the tenth anniversary of the Children’s Hospital at Pegasus Theatre during the Arts Festival in summer 2017. Annabelle offers some tips to those entering hospital and those coming to visit. Annabelle talks about her experience of hospital and her wish to become a nurse. Daniel and Libby speak directly to those who are about to come to hospital, explaining what they enjoy doing in hospital, what they appreciate about those who support them and what works for them. Clover presents this podcast, with contributions from Josh, Bailey May, Tayden and Evie, discussing the five senses in terms of both hospital and home. Video clip. Blesson, Ellie and Libby talk about the artwork they have completed in hospital on the subject of 'Space' (3 mins, 27 sec). In 2017 artist/scientist Lizzie Burns worked with young patients - as well as adult patients on Trauma and Renal Dialysis wards - on a Wellcome Trust funded project on viruses led by Dr Philippa Matthews. The workshops were designed to inspire and engage patients with the beauty and extraordinary nature of viruses. The results were shown in an exhibition in the Corridor Gallery in January and February 2018. In October/November 2016 we invited two artists to create large drawings for the West Wing atrium with the help of young patients as part of The Big Draw, a national celebration of drawing. Neill Cameron, an artist from the Phoenix Comic, created a giant comic strip using ideas contributed by young people and augmented by their own comic book drawings. The following week Dionne Freeman created a large scale layered drawing inspired by different views of the hospital working with young patients.